This is a weekend for learning and refining sailing skills. Brush up on those day skipper skills. we will cover pilotage, picking up a mooring buoys under sail alone, passage planning. learn how to heave-to, practice picking up a Man over board , optimise sail trim and much more. 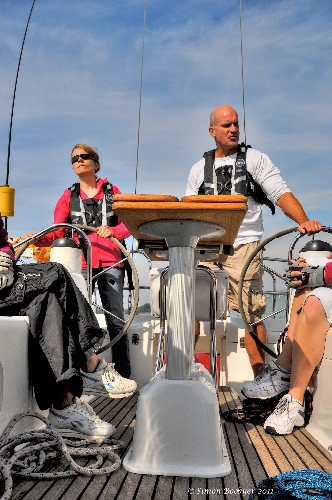 This course is pitched at Day Skippers or those with a little sailing experienced. This course will be run on the East coast, with its beautiful countryside and quiet waters. We join the yacht at 10 am on the Saturday. We'll discuss theory and technical aspects to the sailing techniques that we will use over the weekend. Saturday and Sunday are spent practicing new skills.